What is going on with the BSL in Springfield now? The last few months I have attended a few Plans and Policies Committee meetings and last week I attended another Animal Issues Task Force meeting. In all meetings we discussed the piece of legislation that gives Animal Control and Judges a more definitive way to assess situations with Nuisance Dogs, Dangerous/Vicious Dogs, and Reckless Owners (NDVR). The following is the final draft sent to the Council back in 2013. There are a few things that have been amended, due to legal issues, over the last few months, but nothing big. So what IS going on in Springfield right now??? * First and foremost: There is nothing currently being decided on when it comes to Springfield's current BSL. *The City Council meeting on September 14th will have the NDVR legislation on the agenda. As far as I understand the Plans and Policies Committee will be presenting the document to the rest of the City Council. I believe they can take time to look it over it and vote later, or vote on it that evening. PLEASE SUPPORT THIS PIECE OF LEGISLATION! The AITF and other city officials worked many hours to make this perfect for our city. If anyone wants clarification please feel free to email me at dlepitgirl@gmail.com and I will elaborate as much as anyone needs. I will be at this meeting as well as most of the rest of the Task Force. Please come and support us in an appropriate manner. *The NDVR legislation is built as a stand-alone piece of legislation. 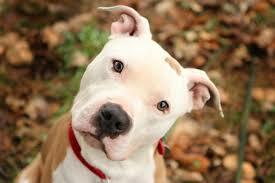 It will work with or without the current Pit Bull ordinance. 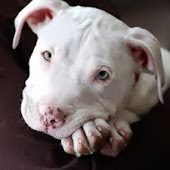 My hope, and many others' hope, is that this will undergo a trial period to show citizens, city officials, and those opposed to repealing the BSL that it will cover all breeds of dogs, thus keeping everyone safer than our current ordinance does. At the end of the trial period, hopefully it will be discussed as to whether or not the BSL is still needed. *A great ordinance was discovered this month, by Clay Goddard, when talking with some officials in Joplin, MO. The AITF has been discussing different Anti-Tethering ordinances for a while now. This one is very plain and simple. After the initial mess the AC will have do deal with, this is built to completely end tethering in Springfield! As someone who specializes in dog behavior this made me want to dance in my seat at the meeting! I know many others that will be relieved if this is approved by the City Council. Here it is! If you haven't checked out this website below, it has great information for adults and kids. Let's all become aware of the signs dogs give us BEFORE they bite! Please take the time to read all of my post from over the years. There is a great amount of dog behavior information on my blog.